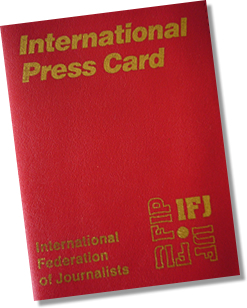 The European Federation of Journalists (EFJ) called on the Ukrainian government to launch a national action plan for the protection of journalists, in cooperation with Ukrainian journalists’ unions. 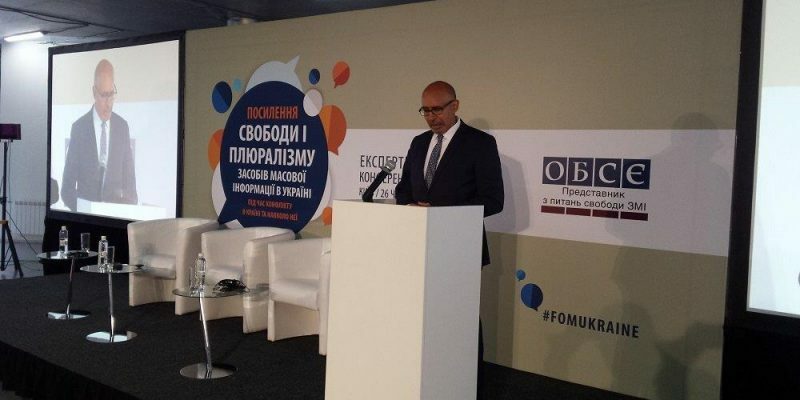 Ricardo Gutiérrez, General Secretary of the EFJ, attended the OSCE expert conference, organised in Kiev, on 26 June, by the OSCE Representative on Media Freedom, Harlem Désir. Pointing out the deterioration of media freedom in the country, since 2015, Gutiérrez called on Ukrainian authorities to launch an action plan for the safety of journalists, together with all the relevant stakeholders, including the EFJ affiliates in the country, the National Union of Journalists (NUJU) and the Independent Media Trade Union (IMTUU). 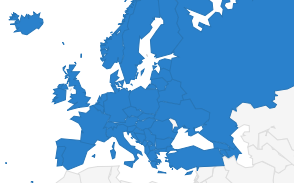 Ricardo Gutiérrez reminded that regarding Ukraine, 37 major violations of media freedom, including two murders of journalists, have been reported on the Council of Europe Platform for the Protection of Journalism and the Safety of Journalists: 6 alerts in 2015, 9 alerts in 2016, 14 alerts in 2017 and 8 alerts for the first semester of 2018. “In 2015, we reported the murder of journalist Oles Buzyna, gunned down in Kiev. And in 2016, we reported the assassination of Belarussian journalist Pavel Sheremet, killed in a car explosion. Ukrainian authorities still hasn’t arrested or prosecuted anyone for Sheremet’s assassination, but investigative journalists discovered that an agent of Ukraine’s security service SBU had been sitting outside Sheremet’s building the night the bomb was planted on his car,” said Gutiérrez. Ricardo Gutiérrez called for the release of all detained journalists in all regions of Ukraine: Stanyslav Aseev who is detained in Donbass, Dmytro Vasylets and Yevhen Timonin, who have been sentenced to 9 years imprisonment for separatism, and RIA Novosti journalist Kyrylo Vyshynsky who is held on treason allegations. “More and more Ukrainian journalists are threatened by public officials and politicians. It’s rather usual for them to use verbal violence against journalists that challenge the actions of the government. 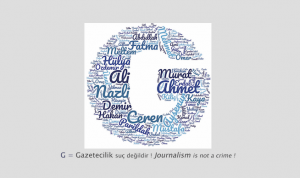 We call on the Ukrainian authorities to sanction any single threat on journalists,” said Gutiérrez. Picture: Ricardo Gutiérrez / EFJ.